"I wished to show what such a scene was like, I got the sailors to lash me to the mast to observe it, I was lashed for four hours, and I did not expect to escape, but I felt bound to record it if I did." Dreadful catastrophe was a common theme in English romantic art period. The romantics had taken a liking to natural phenomena and shipwreck became a popular subject. 19th century Britain specifically was very familiar with shipwreck as it was a period of great English shipping. The Navigation Acts, the skill in English shipbuilding and the use of English oak made such trade possible. Still, the craftsmanship of these ships did not deter the fact that the man made vessel was still at the mercy of the wind. Snow Storm - Steam-Boat off a Harbour's Mouth shows a ship off the English coast struggling to persevere through a storm. Rumor has that Turner actually had himself tied to the mast of a ship during the storm to get a better account of the wind and ocean and what the ship must've felt like in the midst of it. There is no way to test the validity of this rumor, however it is clear that unlike any other artist, Turner grasped the nature of the storm better than any other artist. This story, located in Harwich, was most likely invented but shows a striking proof of Turner's lifetime of experience on the sea. The steam-boat resides in the center of the vortex. Turner once again shows the effects of the environment over mankind's inabilities. William Turner drew his greatest inspiration from nature itself. 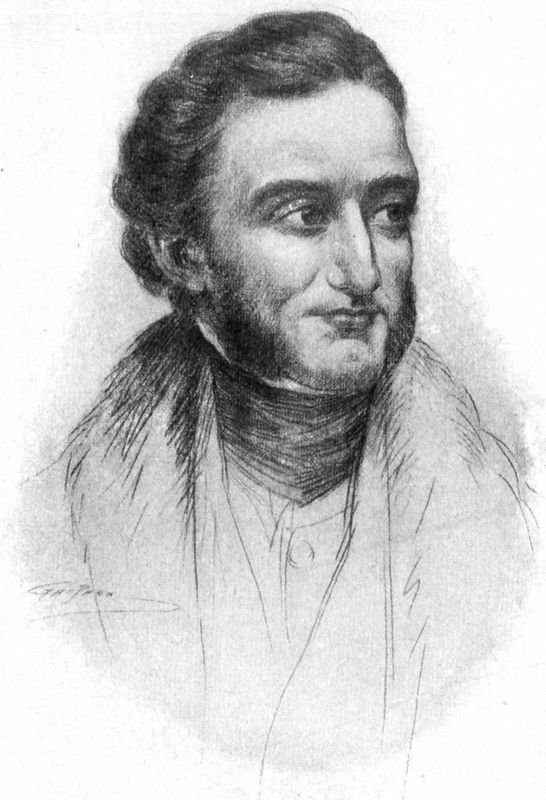 He found great inspiration by studying the work of fellow landscapists and from studying the work of other artists on his a trip to the Louvre in 1802. He analyzed Dutch storm paintings that were on exhibition studying them closely and critiqued them carefully. The power of the storm versus man's inabilities was a main theme in Turner's work. His love for the sea and natural elements was ongoing. He painted themes of shipwreck a number of times throughout his life. Snow Storm - Steam-Boat off a Harbour's Mouth is said to have been inspired by a storm he had seen in Harwich, in which he had himself tied to the mast of the ship to fully experience the storm. Throughout his lifetime, the activities of the sea captivated William Turner. He made a career of channeling this fascination of nature and putting it to the canvas. In Snow Storm - Steam-Boat off a Harbour's Mouth his untamed brushwork creates a swirling composition of chaotic colors and lighting. Once again he shows the frailty of man and man-made objects against the merciless forces of nature. The swirling storm creates a composition that leaves the eye to circle around the canvas repeatedly. The black of the wind and the waves of the sea create a circle around the doomed ship. Through the windy peephole, the viewer can see the helpless ship at the mercy of nature's violent motion. One can imagine the ship swaying to and fro as its crew desperately tries to take control of the sail and stay afloat. Turner exemplifies the powers of the great sea compared to man's corruptible and very uncertain existence. One is reminded of true human frailty as they are powerless against the storm's anger. This can invoke fear in a man or keep him in his place as the weaker. The effectiveness of the lighting in this piece was achieved through Turner's light brush stroke. His movement is quick and focused even though he paints in free flowing swarms. His thick but light brush work was the inspiration for the Impressionist movement. In Snow Storm - Steam-Boat off a Harbour's Mouth Turner uses a muted color palette. Pale blues and deep browns cover the canvas in swirling motions. Though the palette is predominately neutral, which usually creates a calming tone, the swirling motions and lighting create the chaotic effect Turner was going for. He wanted to simulate the true nature of a storm at sea. The bright white of the sail draws the eye directly to the ship, even amidst the swarming colors around it. Turner creates a pocket of light amidst a dark and shadowy canvas to illuminate the ship. Since he lights the ship in such a way, all focus is immediately drawn to the ship. The shadowing swirling winds only emphasize the ship more. "What would they have? I wonder what the think the sea's like? I wish they'd been in it." William Turner was used to his work being under-appreciated and often defended his work. He claimed he painted for expression's sake and not for the approval of other people. It wasn't until after his death that his work was truly appreciated for all its ingenuity. 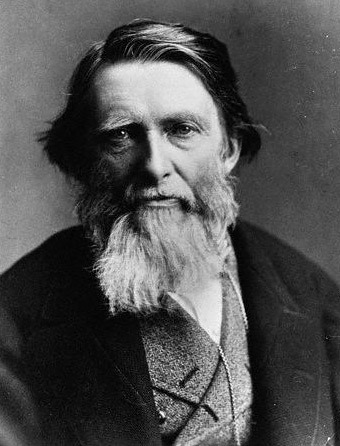 His techniques went on to influence the Impressionist and Post Impressionist movement. The majority of the contemporary critical response to Snow Storm - Steam-Boat off a Harbour's Mouth was unfavorable. Most didn't understand the composition of the work. The Athenaeum displayed the confusion when it found "where the steam-boat is-where the harbor begins, or where it ends-which are the signals,... are matters past our finding out." The most well known critical response came from a writer who distinguished the painting as "soapsuds and whitewash. " Such words provoked a response from the artist himself. The Morning Post wrote, "Some new touch of nature has occurred to him which he has introduced with all the freshness of studentship. It may be a failure, but still he looked for it in nature. " Though unimpressed with the painting, they acknowledged the artist's effort. Not all critics however failed to recognize the genius of Snow Storm - Steam-Boat off a Harbour's Mouth . In his Modern Painters (1843), John Ruskin defended Turner claiming the work as "one of the very grandest statements of sea-motion, mist, and light, that has ever been put on canvas." Turner's work influenced many artists that followed him. He played a key role in influencing the Impressionist and Post Impressionist movement. Modern art admirers appreciate Snow Storm - Steam-Boat off a Harbour's Mouth as yet another work of genius from the great landscapist. Turner's art remains a favorite in Britain as well as worldwide. 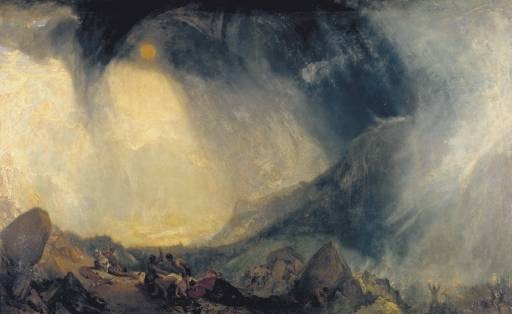 William Turner often revisited similar subjects in his work, tweaking the content slightly, but keeping the same over message: man's inferiority against nature. Just like Snow Storm - Steam-Boat off a Harbour's Mouth, his other painting involving a like storm, Snowstorm: Hannibal Crossing the Alps fortifies the strength of the storm. The storms take control of both canvases, swirling around in a fury and making human existence seem so trivial and weak. In this painting Turner used a historic event to draw similarities to a modern event. Hannibal crossed the Alps to invade Italy in 218 BC. In 1797, just a few years prior to the completion of this painting, Napoleon had also crossed the Alps to invade Italy. Some are historians say it shows Turner's optimism that like Hannibal, Napoleon would also be defeated. On the pessimistic side, Turner focuses on the distress of the army, leaving out the historical General Hannibal, and stresses once again his downtrodden view of mankind's chance against nature. Turner combines this scene with a memory of a blizzard he experienced in Yorkshire. Just like in Snow Storm - Steam-Boat off a Harbour's Mouth the storm takes over the canvas and human life is just waiting to be depleted, helpless against the forces of nature. J. M.W. Turner began his artistic career at a very young age. His success was fairly immediate, selling his first painting at just 12 years old. He continued to accomplish significant achievements at a remarkably young age and throughout his career he remained highly sought-after and acquired a very large fortune from his commissions. Turner is remembered as an influential painter, said to be the best Landscapist of the 19th century, and a major influence for the Impressionist movement. The artist is famed for his original interpretations of bringing light and color to his canvases. Turner submitted Snow Storm - Steam-Boat off a Harbour's Mouth to the Royal Academy in England in 1805 at the age of 30. By this time, he had already become a full academician at the Academy, an astonishing achievement at such a young age. He had also by this time experimented painting the forces of nature, displaying shipwrecks at sea. In Snow Storm - Steam-Boat off a Harbour's Mouth he incorporated even more disaster with the addition of stronger winds and blinding snow. Snow Storm - Steam-Boat off a Harbour's Mouth is a perfect example of the Romantic ideals though Turner adds his own twists. He paints the strength of the storm, exemplifying the force of nature against man, whom other artists sometimes glorified above all else. The emotion and intensity he displays through color were a fascinating display for not only other Romantic artists and Landscapists, but also for the forthcoming Impressionist and Post-impressionist movements. To find out more about Turner and his works there are some recommended books listed below.